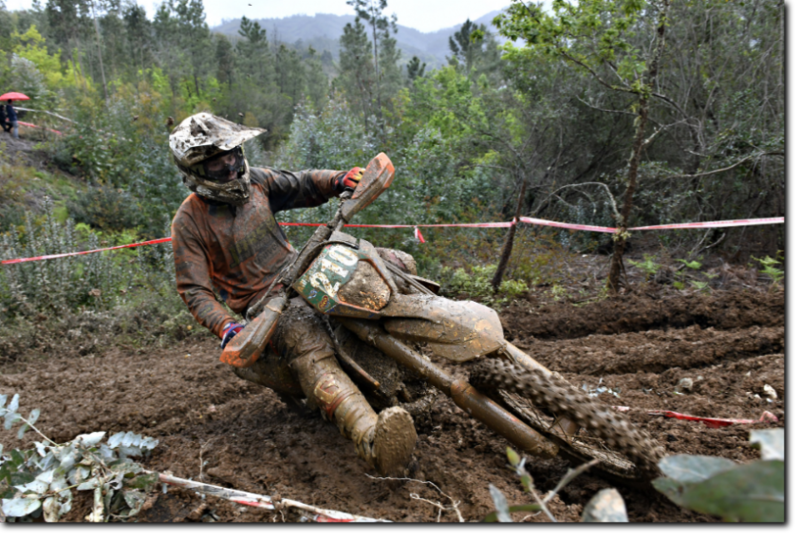 Krystof Kouble from the Czech Republic also won the second day at the start of the European Enduro Championship in Gois, Portugal. Thus, the KTM rider takes the lead in the overall classification for the first time. Husqvarna. The Finn Eemil Pohjola, who had been ahead of Elowson the day before, lost some time after a crash, when he had to ride two special stages without clutch. finished sixth in the overall standings, just behind 125cc last year's winner Roni Kytönen from Finland, who this season moved up to the junior class with the big bikes. But also in the class no herb seems to have grown against the Husqvarna rider, because in the junior class E1 he also won both daily classifications superior. over 40 years old. On the first day he had to give up prematurely due to technical problems, so he is still a bit behind in the championship. to the finish. Almost a quarter of the participants dropped out and a further quarter of the participants collected time penalty points due to delays at the checkpoints. The Góis Moto Clube has done an excellent job as the organiser on site to organise the competition under these difficult conditions in an excellent and trouble-free way. From the first stage on, the KTM rider took the lead and extended this lead to 22 seconds until the end. After a slip-up in the enduro test his lead had shrunk a little, but overall all participants had to struggle more with the weather conditions than with the competition. Heavy rain and hailstorms had made the track muddy and slippery and had led the organizers to some detours. The second of the day, the Finn Eemil Pohjamo: took on more than 4,000 km of the journey: The TM-pilot on the 300 two-stroke fought his way up to second place after the first lap and didn't give up after a crash in the crosstest. The third rider of the day, the Swede Albin Elowson, had no chance to get close. Fourth place went to an even younger rider: The Swede Max Ahlin with the small 125cc machine also won the biggest class in this European Championship season opener. The Czech rider Zuzana Novackova won the women's race: Not because she was the fastest in the special stages, but because she had collected the fewest penalty minutes on the demanding track: In the end she had a lead of over eight minutes over Hanna Berzelius from Sweden, who is so much faster in the special stages. All in all, at the end only 13% of the riders quit the competition bevore the end. 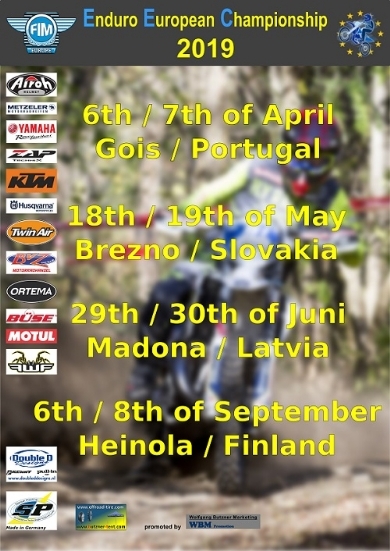 In order for the active drivers, teams and fans to be able to prepare for the new season, the dates for the European Enduro Championship will now been announced. We updated the resultes and standings from the finals. 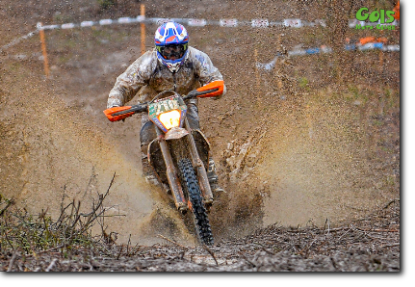 The finals of the European Enduro Championchip went by and you didn´t found any infos here. We are a small team and because of the illness from the webmaster there was no way to get the infos to the page. For this matter, we want to say sorry. You can now find all informations about the three days from the final in Kielce submitted here. With an overall victory in the final cross, the Italian Alessandro Battig also won the overall championship of all riders at the final of the European Enduro Championship in Kielce, Poland, after his title in the cubic capacity class. This only was not enough für the Kawasaki pilot, riding für the Italian E50 racing-team, he also won the European title together with the Italian national team! Alessandro Battig hadn't even expected to go for the whole championship at the beginning of the season - he only took part in the opening event because it started in his home country Italy. Afterwards his team convinced him to contest for the complete series. So the Italian anthem sounded even more often at the evening award ceremony. But for the host Poland, 42-year-old Sebastian Krywult won his second championship title in the senior class. In the women's singles it was KTM rider Sanna Kärkkäinen from Finland who won her second European Championship title in the class after 2015. She won all heats, exept the last day in the final cross. There she had to let the Sherco-rider Nieve Holmes from England take the victory in front of her on the last day. Kärkkäinen's compatriot Roni Kytönen was able to secure the title with a triple win in Poland for the juniors under 21 years of age, after the leader of the class, the Italian Claudio Spanu, had already dropped out on the first day due to a technical defect. The two junior classes E1 and the cubic capacity class E2/E3 were kidnapped to France: The small class was won by Thomas Dubost, who rides in the same KTM team as his friend Hugo Blanjoue. Blanjoue was unlucky in the final, when he got stuck at the start and had to fight his way up from last place. As a result, he lost so much time that he could not win the overall standings of all riders. At the same time as the final, the national competition was also held: the club teams was won by Sweden, as well as the women's teams. In the juniors, France dominated (with the two European champions) and the team championship went to Italy for the sixth time. 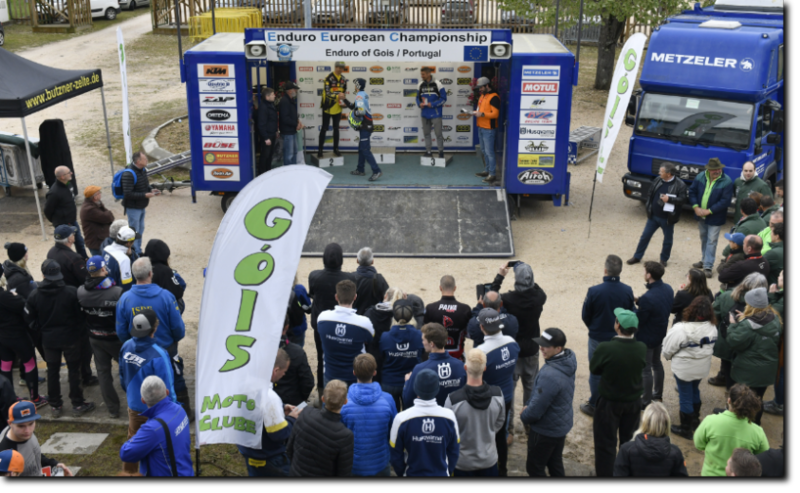 On the second day of the three-day finale of the European Enduro Championship in Kielce, Poland, further drivers were able to secure the title. The Italian Maurizio Micheluz won the two-strokes up to 250 cc with another day's victory, so far unbeaten the championship. But it is not the first title for the Husavarna rider, who has often been at the top of the podium in recent years. However, Tommaso Montanari won his first European Championship title in the four-stroke class up to 250 cc: The Italian was beaten by local hero Giezma Maciej in the daily classification, but in the championship the KTM rider stayed ahead of his rival Jonathan Rosse from Switzerland. The Pole Sebastian Krywult is an old hand in two senses: After 2016, the KTM rider again won the senior class for riders aged 40 and over. On the last day of this final event there will be a final motocross over seven laps each. It is still about the titles in the overall standings, the three junior-classes and in the womens-class. In addition, there will be a nation classification with national teams at the finals, where Italy still leads ahead of England and Germany. 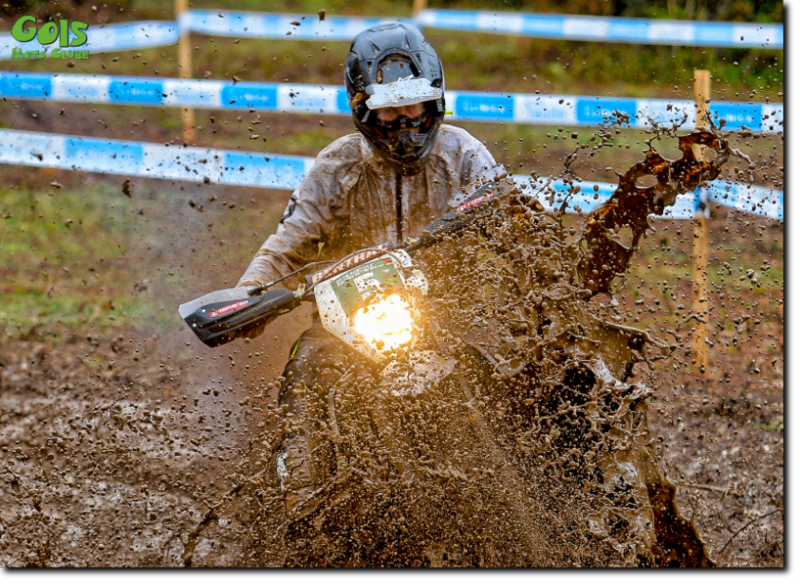 Kawasaki rider Alessandro Battig from Italy won the title in his class on the first day of the European Enduro Championship final in Kielce, Poland! With a further day victory in the class of the four-stroke machines over 250 ccm, he was able to extend his lead unassailably. In the remaining two days of competition he will concentrate on winning the title in the overall standings in addition. There, too, the Italian is in the lead of the European Championship and with his second place in the overall standings today, Friday, he has come a little closer to this goal. Although he was beaten on this day by his compatriot, the junior Lorenzo Macoritto, he was able to leave his direct rivals in the championship behind, as the Frenchman Hugo Blanjoue only finished third. In fact, the nightly rain had bound the dust on the dry meadows and fields somewhat, so that this did not become a visual obstacle. But it was still dry and the two special stages were driven accordingly fast, so that for the best riders the times in the eight tests added up to almost exactly one hour special stage time. Also Battig's compatriots Maurizio Micheluz and Tommaso Montanari can become premature champions in their cubic capacity class the next day, on Saturday: Micheluz had won the day in the two-stroke class up to 250 cc and extended his lead to a respectable 29 points. With a fifth place he would have secured the title. Montanari in the four-stroke class up to 250 cc has a similar situation: With his victory on the day, he increased his lead to 23 points and can also celebrate his early title win with a second place on Saturday.